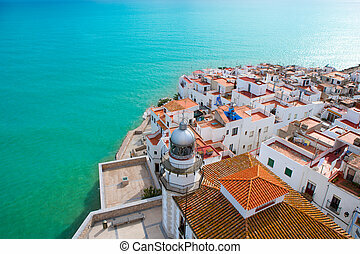 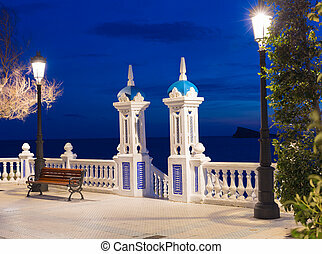 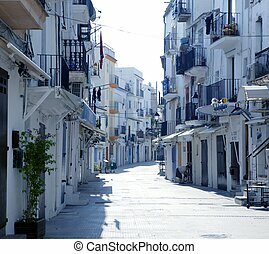 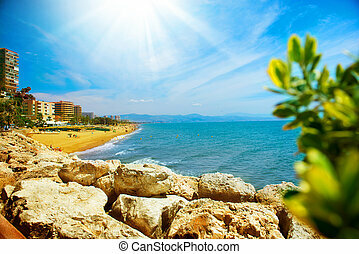 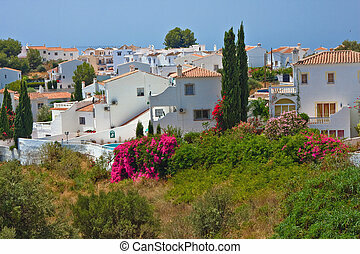 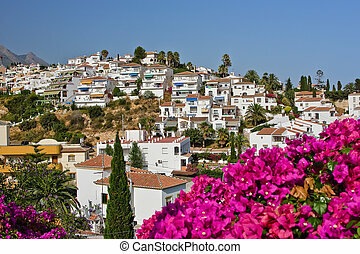 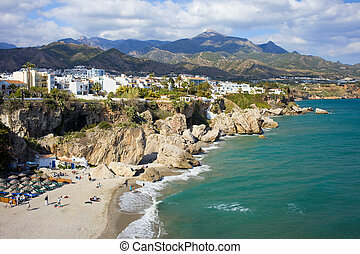 Nerja beach and city - spain. 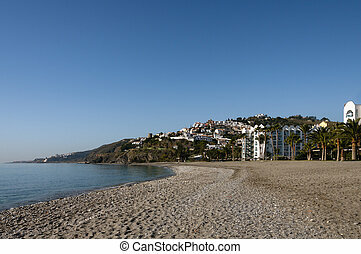 Malaga, Spain resort skyline at Malagueta Beach. 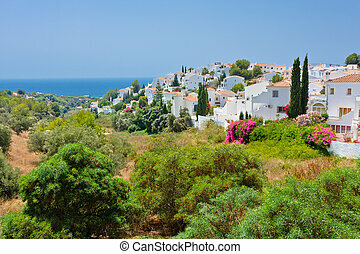 Scenic resort town of Nerja with small sandy beach on Costa del Sol by the Mediterranean Sea in Spain, southern Andalusia region, Malaga province. 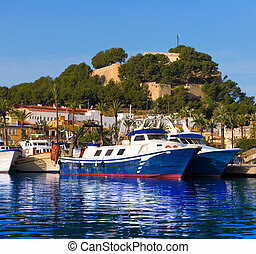 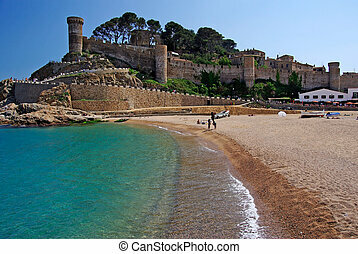 Castle view in Tossa de Mar, Costa Brava, Spain. 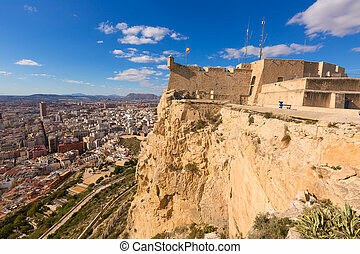 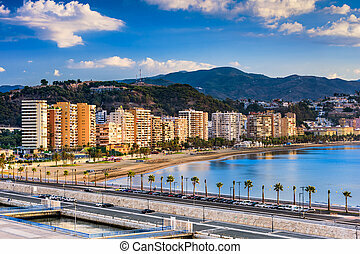 Malaga in Andalusia, Spain. 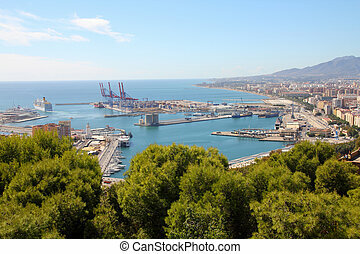 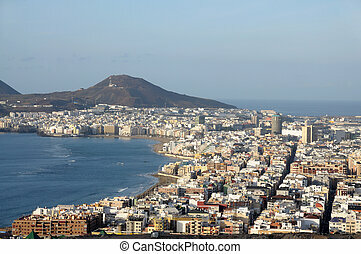 Aerial view of port and the city. 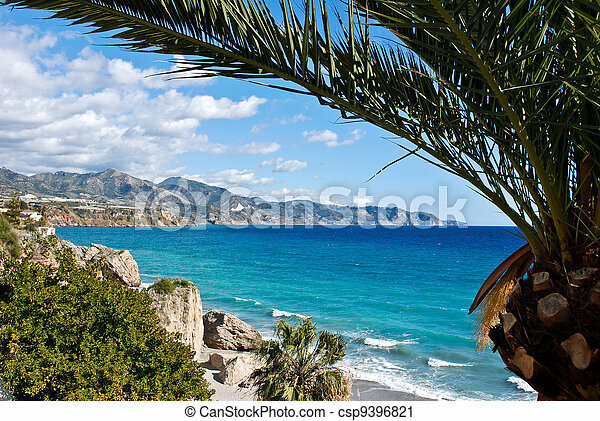 The beautiful and empty beach of Nerja at the Costa del Sol in Spain with the city itself in the background on a sunny day with blue sky and no clouds.